In a desperate attempt to stop the bleeding in swing states like Florida, Virginia, and Ohio, the Obama campaign has been busy over the last two weeks driving the narrative that the President is already winning the election. Several polls in recent days have shown the President with an edge over Mitt Romney in early voting states, in some cases by a large margin, but don’t be fooled. The numbers are at best misleading and at worst totally bogus. Despite the Obama message machine, Romney retains his momentum in critical battlegrounds. First, to understand what’s really going on, you have to look at the real numbers. Here’s the little secret the Obama camp won’t tell you about Ohio””the largest block of early voters so far has been independent or unaffiliated voters. In the “must win” state for both candidates, early voting as of mid-October broke down 230,000+ Democrat registration to 194,000 from among the GOP. However, independents represent nearly half of the early voters so far at more than 370,000. 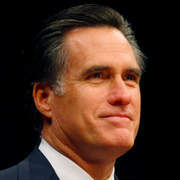 In a recent ARG survey of likely voters, Governor Romney bests the President by 20 points among independents. A Survey USA poll the week after the first presidential debate saw Romney winning independent voters in Ohio overall 41% to 33%. When it came to the fiscal crisis independent voters listed jobs and balancing the budget as their top two priorities, and gave Romney an edge on those issues 52% to 27%. Second, the polls used by Team Obama have questionable methodology. Most Americans don’t pay attention to the ways polls are conducted and take the numbers at face value. They shouldn’t. For instance, in the case of the Reuters early voting poll that showed Obama ahead 51% to 39% the sample was only 361 voters and of those only 151 were from swing states. That’s hardly a representative sample of the hundreds of thousands of voters who have already cast their ballot. The PPP poll, which had the President ahead by an even wider margin, suffers from a well-known institutional bias towards Democrat candidates and similar methodology flaws. For its part CNN ran a lengthy piece this past weekend online supposedly analyzing the state of early voting on a national level. Interestingly, they never mentioned independent and non-affiliated voters, opting to focus merely on the Dem vs. GOP responses and ballot requests. Last week’s cumulative Newsmax/Zogby poll shows the Ohio race even closer, with the President continuing to slip. According to pollster John Zogby, “Only 42.5 percent of Ohio voters feel overall that the President deserves to be re-elected, a figure that continues to decline each day of polling. That includes only 34 percent of independents.” Romney, on the other hand, has gained in every Zogby survey over the last two weeks. In the final round of data collection, Romney was the preferred choice of 37% of Ohio independents. Then there’s Florida. In a state that twelve years ago was won by Bush by 1000 votes, give or take a few hanging chads, Romney is showing real strength two weeks out. Nearly 30% of all absentee ballots requested have already been returned with the GOP leading by three points. The GOP also leads in the total number of absentee ballots requested and has been edging out Democrat returns in each successive update of the raw numbers over the last three weeks. Following the trend lines, with nearly 700,000 people having voted in Florida to date, Republicans hold a five point lead. Additionally, the latest Scripps/WPTV poll shows Romney leading with Florida’s influential Hispanic population. The October 19th Fox News poll, shows Romney with a six-point lead among independents overall, with that critical demographic making up approximately 15.5% of those who have already voted. The GOP is also leading with both ballot requests and early responses in the critical I4 corridor running from Tampa to Dayton Beach. If you’re thumbing the paper or scrolling through the news on your iPad, chances are you’ve read plenty from the Obama surrogates in the media about the President’s early momentum. As you can see, however, peeling away the onion and looking at the numbers reveals good news for the GOP and a reason to believe we can take our country back in less than two weeks.